Highlights of the clash between the New England Patriots and the Kansas City Chiefs in week six of the NFL. 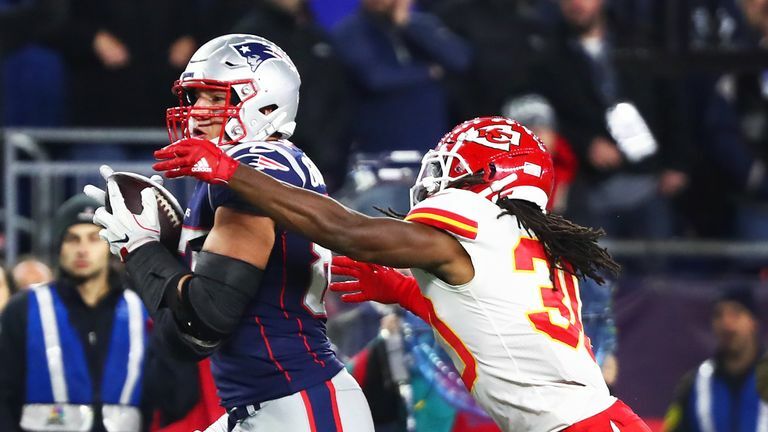 Tom Brady and the New England Patriots inflicted a first loss of the season on the Kansas City Chiefs, and a first career defeat for Patrick Mahomes, as they edged an epic Sunday night encounter 43-40. 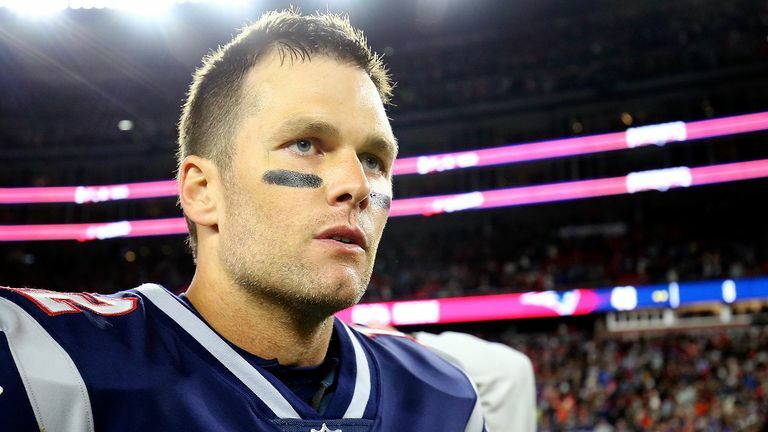 Brady passed for 340 yards, throwing a touchdown and also running for one, which gave New England back the lead late on after Kansas City had edged back ahead in the fourth quarter. Mahomes looked a bit rusty early on in undoubtedly the biggest test yet of his NFL career - throwing a pair of first-half interceptions - but bounced back in a big way, finishing with 352 yards and four touchdown passes. Tom Brady and Dont'a Hightower talk after a tough victory for the New England Patriots over the Kansas City Chiefs. Mahomes opened the second half with a 67-yard scoring strike to Kareem Hunt, and then connected with Tyreek Hill on three TDs, the last of which was a 70-yard monster to tie the game up at 40-40. But Brady led the Patriots on a game-winning drive in the final three minutes, with a 28-yard field goal from Stephen Gostkowski winning it as time expired. The win was Brady's 200th in the regular season as a starting quarterback and moves the Patriots up to a 4-2 mark on the season, one back from the Chiefs (5-1) in the AFC.